It's very simple, if you don't 5 star this book there's something wrong with you and your sense of humour. It's also the ultimate read before you sleep book. Not because it's so boring, but within 5 pages you completely forget all the things that are bothering you or would normally keep you awake. 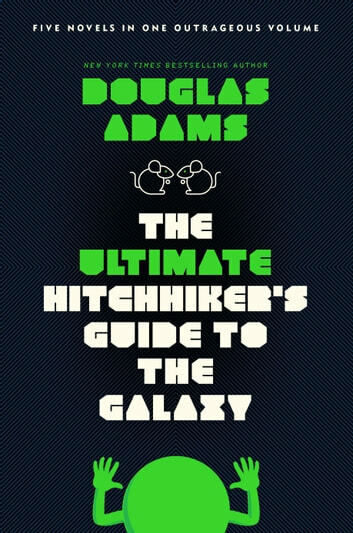 If you read about the things that are bothering Arthur Dent you realise that your problems are actually not that bad. Happy reading! 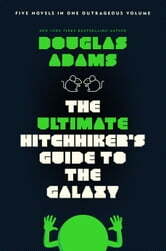 The Hitchthiker's Guide to The Galaxy was no doubt the funniest book I've read in my whole life It's also is very well writen. All together it's a no brainer. And make sure to get all 5 books..
A classic in the Sci-fi genre. Full of humour and absurd situation this book makes you laugh and casts a new light on life and humanity. A must read ! Really well-written, funny, and mostly clean, the characters are likable and many of the settings are interesting. I liked the first book best. The last book's ending felt abrupt and left much unexplained though.